Ping Pong is often known as table tennis is a fun game which is played by 2 or 4 players back and forth over a net as you hit the ball with paddles. If you lose most of the time and would like to get more skill then, Smartpong Table Tennis Robot will be perfect. Tennis Robot will turn an average player to pro overnight. Among all the Table Tennis Robot, Smartpong Table Tennis Robot is one of the most expensive and a versatile ping pong robot that is ideal for a player to grow their abilities. While the price tag is steep so you might need to cough off the money but does almost everything that you can expect it from a ping pong robot. You will get four different gameplay choices on Smartpong Table Tennis Robot. It can easily set up and spin that will allow a beginner to the experienced player to challenge what is an offer by the SmartPong. If you want to become better table tennis players then, Robot is perfect for you. The Table Tennis Robot will be good at home to hook up and get in a few minutes or hours of play when you don’t feel sleepy. Fun and play the game without a human opponent. So before getting one for yourself, you can check the Specifications of Smartpong, Pros, and Cons of SmartPong, features, price. Here you I have mentioned the details of Smartpong Table Tennis Robot. Unlike adorable little robot like in films, Smartpong Table Tennis Robot is the motorized devices that batting cages use. You can easily install and set up but make sure that the net is in the correct place then, plug it an electrical outlet and select the setting as you like. The Smartpong Table Tennis Robot is of 50 pounds that can be placed easily on any ping pong table without causing the table to bow or tilt. And it has an exit hole in the center that pushes balls so that you can practice at home. 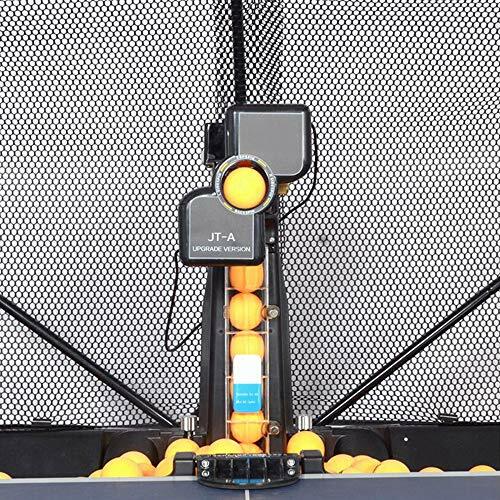 A Tennis Robot sets come along with the backpack that can hold the accessories of the robot, 100 extra ping pong balls, a tube, and an instructional DVD. A DVD will be helpful for setting up the robot and using it. 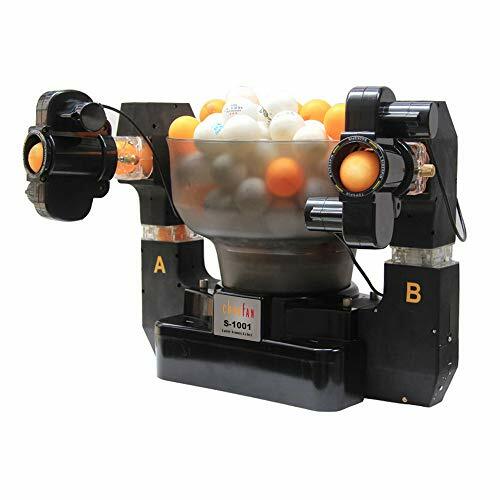 Set the tennis robot then attach the feed tube and fill it with balls after that robot will shoot balls at you on the setting you chose. The SmartPong Table Tennis Robot has an infrared remote control by which, you can make changes to the machine with the remote control without fumbling around with switches and buttons on the front. Use the remote for turning the robot on before practicing. It comes along with the power switch on the back but can work through remote as well. Moreover, SmartPong comes with the multiple settings through which you can quickly determine the balls come. Use SmartPong Table Tennis for practicing for next big match or to have some fun. It lacks a feature for practicing that doesn’t have a put a spin on their balls. After the warranty expires, the motor may burn out. Buyers Guide on How To Choose A SmartPong Table Tennis Robot? Before purchasing a ping pong robot, you should know what exactly you need. So are you looking to refine your form and ball-striking or something to practice against spin or simulate match situations? After confirming it, you should know where you are taking it a club, multiple people or personal use. Most of the robots attach to the end of the table only a few are free standing that can be movable and free for easy storage. It has numerous features depending on your practice you should get one. Some of them are hopper capacity, refill nets and ability to program drills that make robots better but, you might need to dig out your savings. However, these features will make your practice much effective without wasting time on reloading and setup. 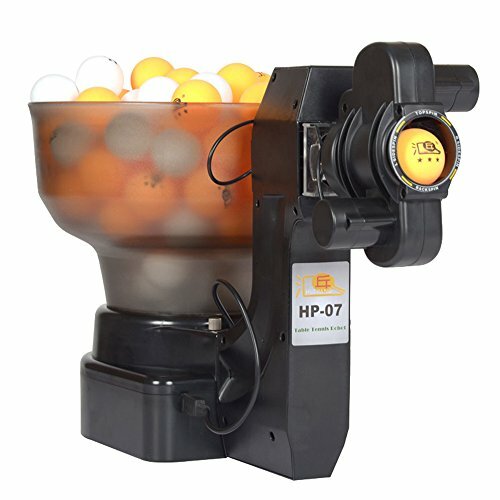 Prices on table tennis robots range from fifty to thousand dollars but depending on factors like durability and other features so before investing on the ping pong table, you should know certain price points for getting your money’s worth. The SmartPong Table Tennis Robot comes with amazing features, with instructional DVD, extra ping pong balls and remote control. The DVD will give you tips on improving your swing, standing position that will help to improve your game. The SmartPong Table Tennis Robot is a good option for some people but, others may prefer other robots that will come with more unique features like the Y&T V-988 Table Tennis Robot and the Newgy Robo-pong 2050.